I added a loop of cardstock before gluing the front to the back. I wrapped my gift card in foil wrapping paper, added a gold ribbon, and left the card peeking out of the stocking. 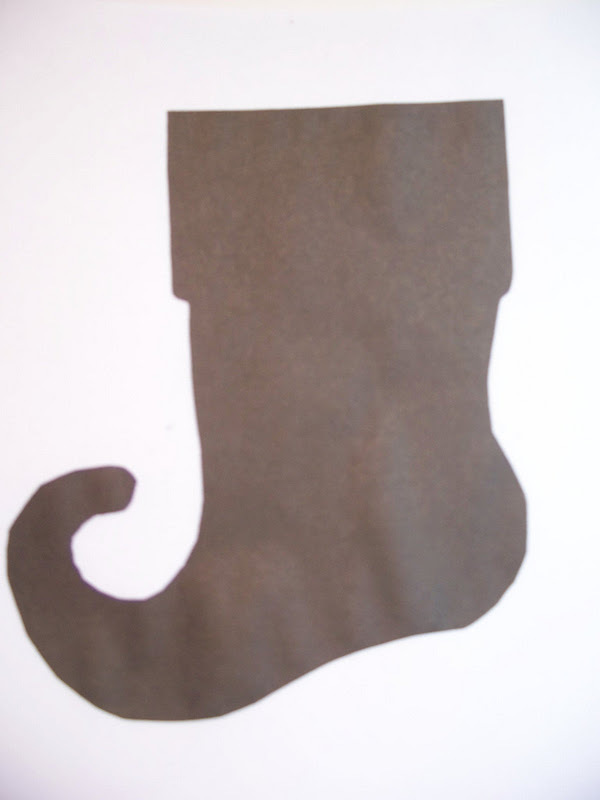 Cut out pattern for the stocking. 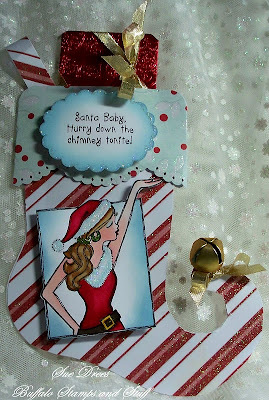 Lay the gift card on the inside center of the back piece of the stocking, gift card even with the top. Trace the gift card in pencil. Use a strong tape adhesive, run a line along both sides and the bottom of the traced lines. This will prevent the gift card from going down into the stocking. Glue the rest of the stocking back, and adhere the front to the back. Round the corners on the top of the stocking. Cut a strip of contrasting paper 8" x 2 1/2". Using a border punch, punch a border on the bottom of the strip. Center the strip on the front of the stocking, fold at edges of stocking on either side to the back. Before attaching, round the corners at the side folds. Adhere to the top of the stocking. Have fun decorating this fun gift card/Money holder. You can put gift card/money right in the slot you created or leave it sticking out. Despite the long step by step instructions, these go together fast with really cute results. With the holidays only weeks away, these handy gift card holders could come in handy and can be decorated for anyone. ohhh wow Sue, this is stunning. what a fabulous idea sue, and beautiful decorated, great image. Great idea and wonderful work on this! Love it! So gorgeous Sue,I love the image and your papers. Thanks for the stocking template! Love the image and bright colours. How gorgeous is this! Love it! Totally fabulous and so wonderfully decorated! wow..
Lovin' this! What a fab design and totally fun image!